Send us a photo of your refrigerator. Click Refrigerator below to advance. 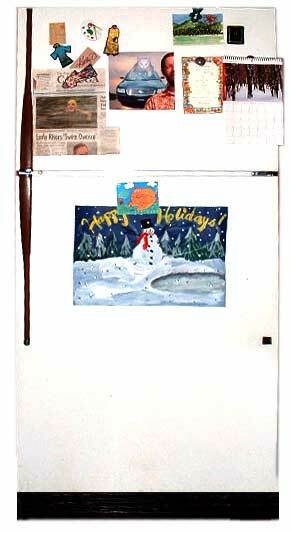 Send us a photo of your refrigerator. Inside or out. Include your name if you like or just send the photo. And don't straighten the thing up too much before you photograph it.